Prepare to be impressed. 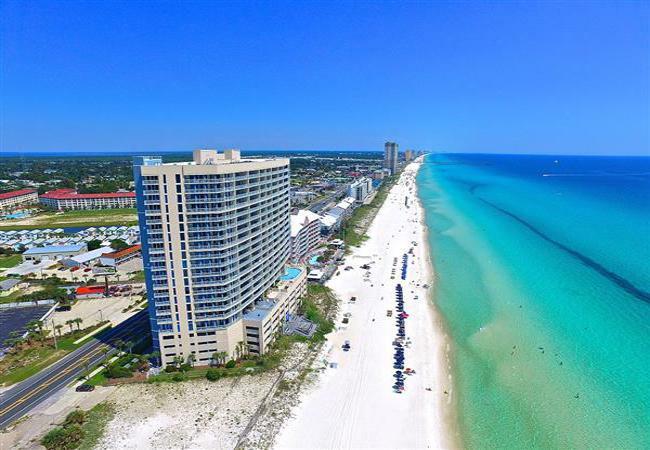 Palazzo, located on the west end of Panama City Beach, offers elegant beach residences with every unit boasting spectacular views of the white sand and beautiful Gulf of Mexico, high-end interior finishes such as 9-10′ ceilings, granite countertops, crown molding and so much more. With a myriad of amenities including the elevated Gulf front pool and hot tub, Gulf side fitness, conference center and covered parking, Palazzo is the ideal vacation destination with your family or friends. Palazzo is only 1.2 miles, to the Pier Park the 900,000 sq. ft. outdoor shopping and lifestyle center offering premiere retail, dining and entertainment attractions. So, plan to come to Palazzo and enjoy the best of the best in a family vacation experience.